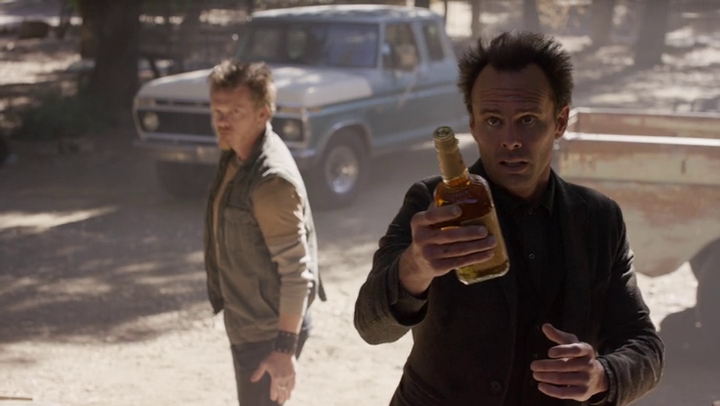 This week’s RayAction is focused on Justified Season 6, Episode 5 – “Sounding.” It contains SPOILERS for the entire series of Justified. Fire in the Hole! 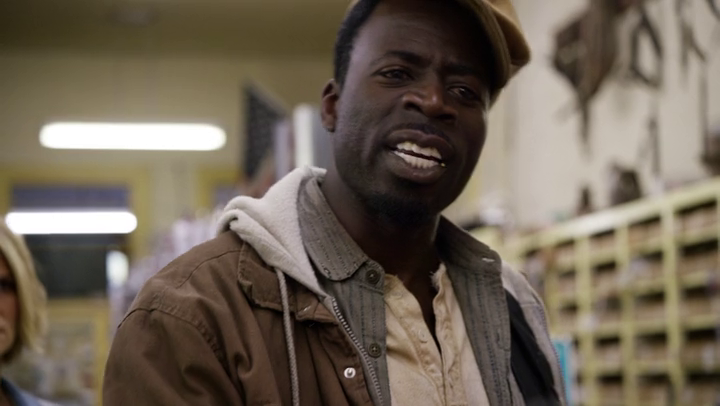 If Justified is going to make its final season bigger than just wrapping up the stories of our core cast, then they’re doing right by us in the guest casting department. This is the type of episode I refer to as a Guest-stravaganza (or Guest-STARvaganza, if you want to be extra clever). 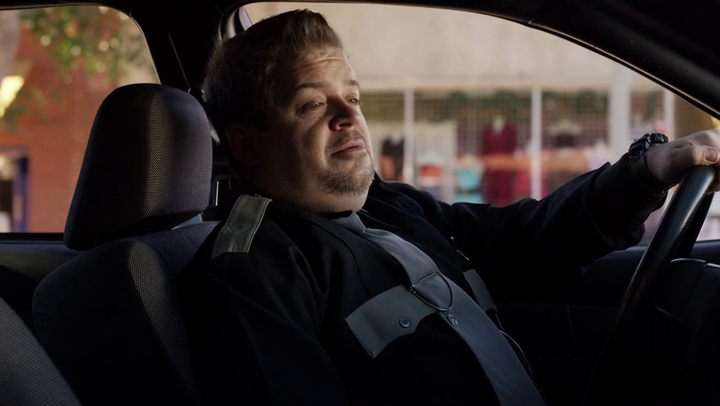 Sure, half of the guest stars are people we just met this season, but seriously: Mary Steenburgen, Garret Dillahunt, Sam Elliott, Mykelti Williamson, Scott Grimes, Choo-Choo (Duke Davis Roberts), Brad Leland, Jeff Fahey (so that’s what happened to Frank Lapidus), Danny Strong and PATTON OSWALT! What fun! Side Note: I smell a TV Land sitcom starring Danny Strong and Patton Oswalt as brothers who run a diner. It’s called Short Order (which is also, incidentally, a reference to the number of episodes of the show that will be produced). 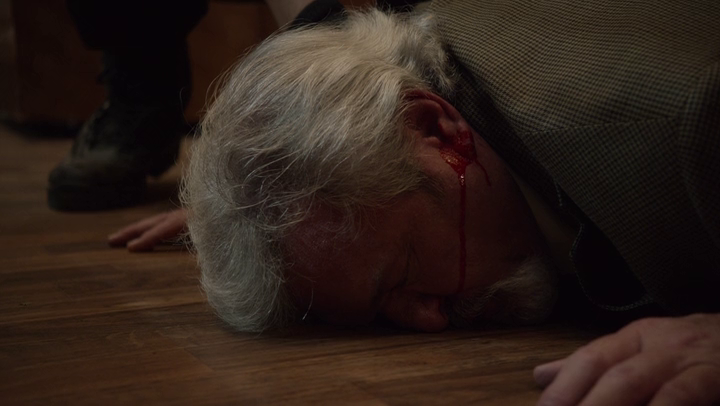 Even with the welcome return of Constable Bob Sweeney, a tasing, an explosion and a death by Choo-Choo, the fuse on this episode–and perhaps the entire final season–appears to be a slow burner. That’s not to say I didn’t enjoy myself, but there are so many moving parts here, and precious few of them are directly connected that I’m still sort of waiting for something bigger to happen. 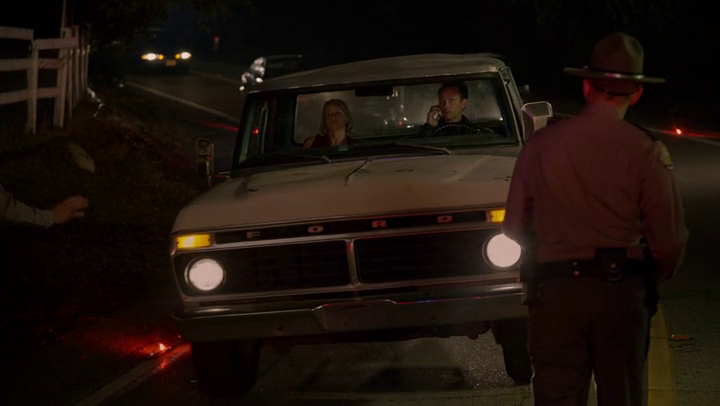 Yes, I know we’re only five episodes in, and that I need to be savoring every last super-sized minute of Justified that I can get, but outside of undercover Ava (midnight fantasy) my interest in the plot is starting to flag slightly. I fully expect this series to tie up in the most awesome way it can, but I want it to give me a Breaking Bad-style farewell tour of (mostly) knockout episodes rather than a “pretty good” season with a great finale. I’m all-in either way, and even more on board considering the continued excellence in casting and performances, but I don’t want these great characters to get swallowed up by a plot as labyrinthine as the Kentucky mining system. It sounds like I’m complaining a lot here, and I really don’t mean to. 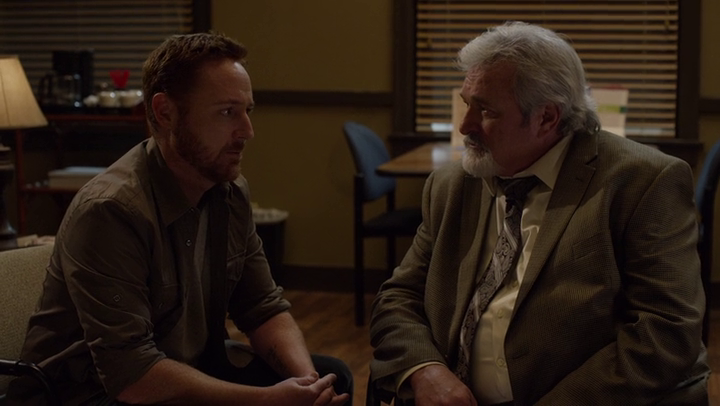 We get Constable Bob (and his Raylan-esque facial hair) amusingly rehearsing for and then confronting Errol. We get Markham reminding Walker of his superiority while standing half a staircase below him. We get more George and Lenny antics from Seabass and Choo-Choo. We get Wynn Duffy entertainingly encountering both real children (Katherine’s grandkids) and intellectual ones (the “aplexed” Mikey). 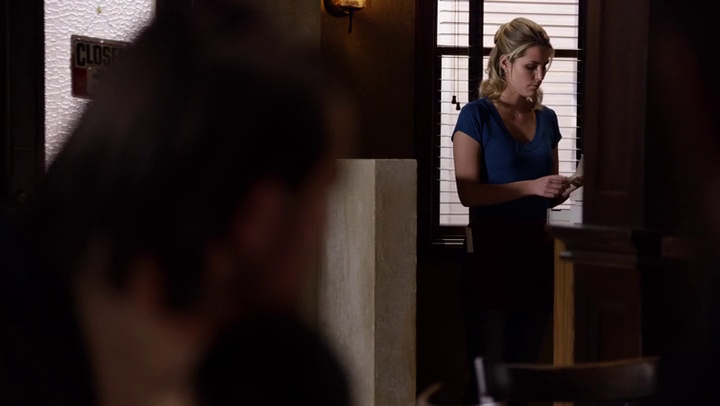 Ava threw in the towel and went to Limehouse (a plot which has to be resolved at some point, right? 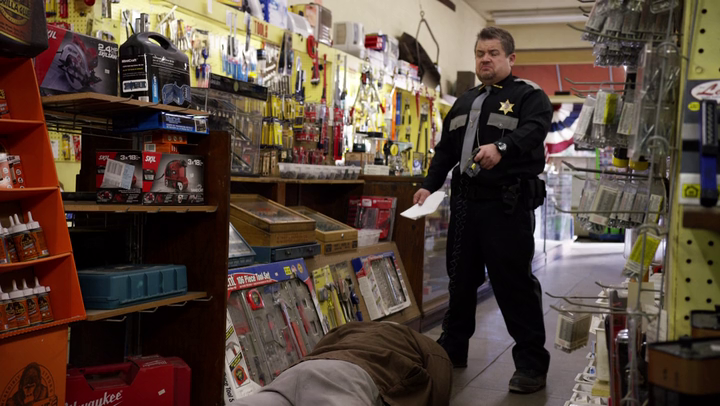 ), but then was pulled back in by Raylan changing the tune from threat of going back to prison to a promise of safety. That’s a promise I don’t know if he can keep. It will keep Ava going for at least another episode though. 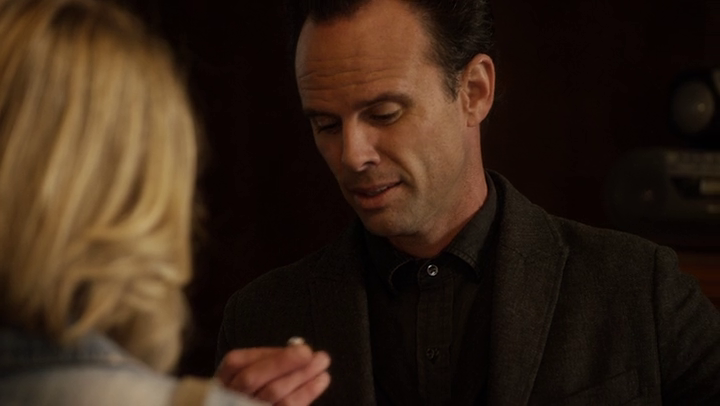 Maybe longer if Raylan’s right about Boyd not allowing himself to believe that Ava (now wearing her engagement ring again) would ever betray him. You see? It’s all good character-wise, just give me a little more to hold on to with Boyd’s robbery scheme and the lots-for-pot plot. What did you think, Patches? Is this guest-stravaganza as great as the sum of its cast list, or are things getting just a little too busy in old Kentucky? Since setting the final season’s tone in “Fate’s Right Hand,” Justified has been very busy weaving and tightening its narrative. Additional characters have been introduced and the various factions have been brought closer and closer together. If it seemed as though “Sounding” ended without moving the plot very far forward, it’s because the plot didn’t move very far forward. It just brought the characters a little closer together and hinted that the next few episodes would bring them closer together still. There’s nothing wrong with that, but I think we both agree that something has got to give fairly soon. Earlier in the season I said that no one builds and blows off tension like Justified. 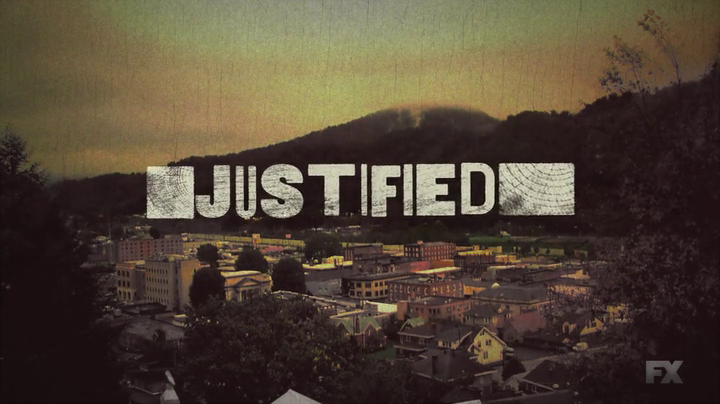 I don’t hold that opinion anymore since I’m caught up on The Americans, but Justified is still great at it. That’s all this is. “Slow burns” are rough while they’re burning, but it’s gonna feel SO GOOD when that powder ignites. My only hope is that they don’t take too long. I’d say we’ve got another couple episodes before it starts to feel like they’re keeping all the pieces on the board just to keep all the pieces on the board. In other news, Choo-Choo killed it again this week, continuing to be this season’s most entertaining newcomer. His confrontation with Blonde Cashier (Skim milk?) was fantastic because it A) shows he’s not a complete idiot, B) shows that he’s not exactly a big-picture thinker, and C) makes us wonder why Walker and Seabass are so okay with losing $40 a night via theft. That’s to say nothing of his plastering of Calhoun Schreier. Last week, you asked if Walker was going to get a subverted death (ala Danny Crowe) and I said no one has a “thing” to subvert. If someone’s death is going to get subverted, it’s going to be Choo-Choo. I imagine it’ll go something like this. To answer your question more directly, I think Justified is trying to walk a fine line between plot and character this season. The plot stuff has been fantastic. I’ve enjoyed the entire Markham Gang and I’m thrilled they’re bringing everyone important back for the final season. I think your instincts are correct, however, that the character development has suffered as a result. 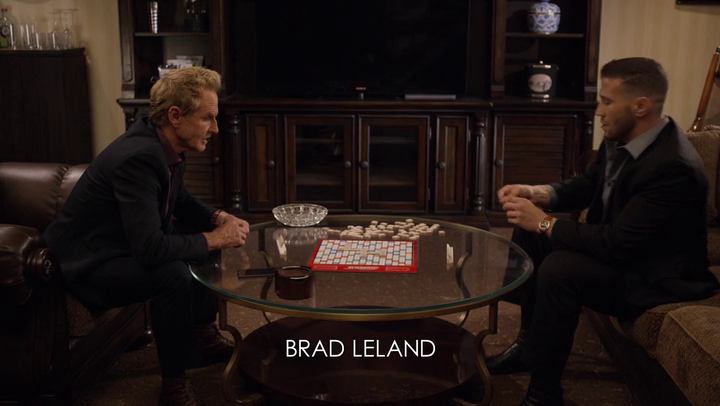 Boyd’s buried in his scheming and Raylan’s buried in his work. The silver lining is that Ava has really taken advantage of the opportunity and has emerged as a narrative equal. 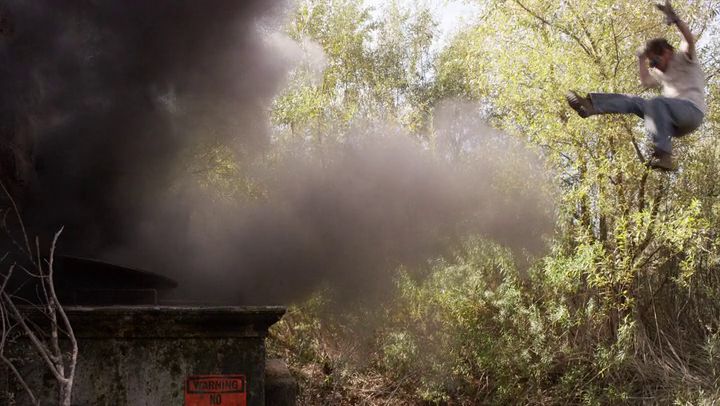 “Fire in the Hole” brought Raylan and Boyd together around Ava. 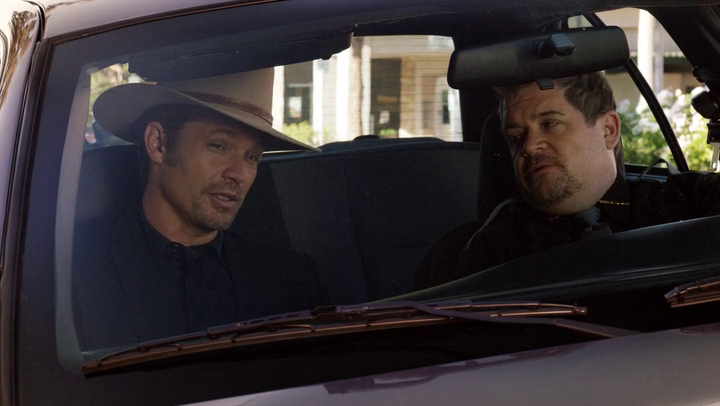 I don’t mind ignoring Boyd and Raylan for part of the season so long as they cut the show down to the the Big 3 (and not Wilson, Lloyd George, and Clemenceau) by Episode 10 or so. Jeff: “Hell yeah I’ve got a badge, and I’ve got balls like Death Stars. Let’s do this!” –Constable Bob gives himself a pep talk, no doubt delighting fans who didn’t think “Drew-bacca” was a bit too much. Patches: “You want him slapped like a little girl, you do it. All right? You ask me, he gets Amtrak-ed.” –Choo-Choo reminding Seabass of their respective talents. 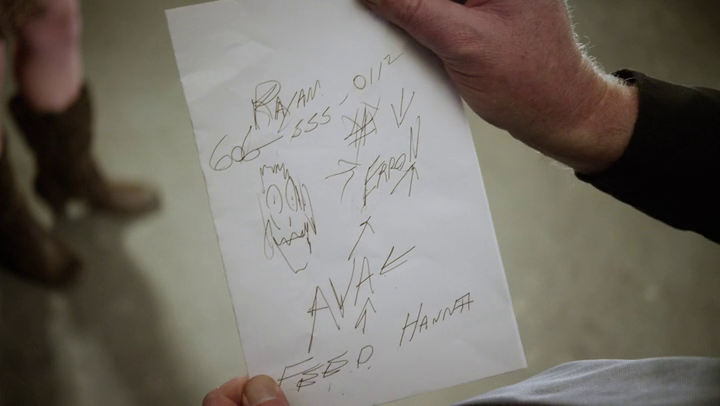 Jeff: How are we supposed to take Raylan’s final line of the episode? Is he going to stick around and get “romantic” with Ava? In the middle of this crazy-stressful operation to take down Boyd? I know they have history, but where did that come from? 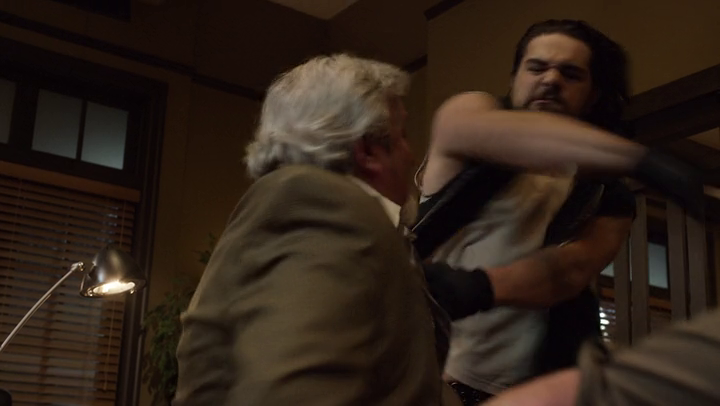 Patches: Loretta, Constable Bob, Limehouse, and Fekus have all returned. 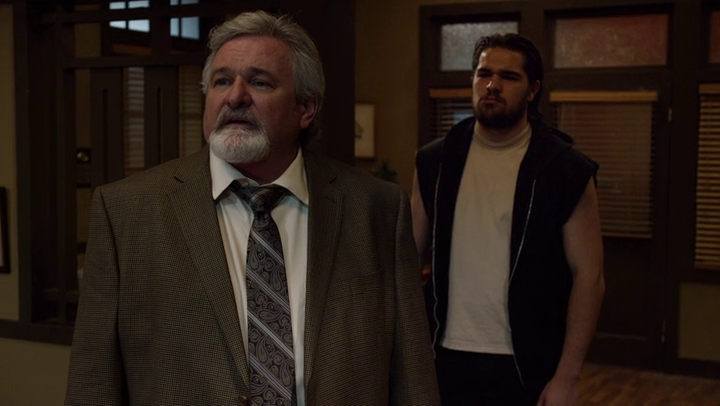 Are they here because they’re going to play an important part in Justified’s conclusion? Or are they here to give us the chance to say goodbye to characters we’ve come to love and also Fekus? 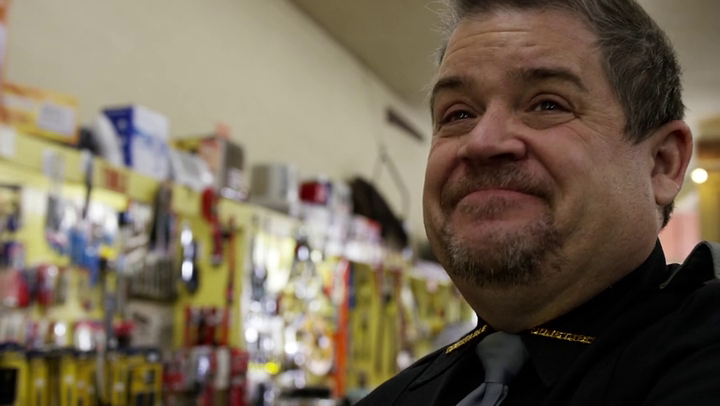 Patches: Patton Oswalt is always worth the wait. Hanna is the name of Bob’s boa constrictor he’s been mating with Bridget’s Rudy. That, of course, led to sparks flying between Bob and Bridget. 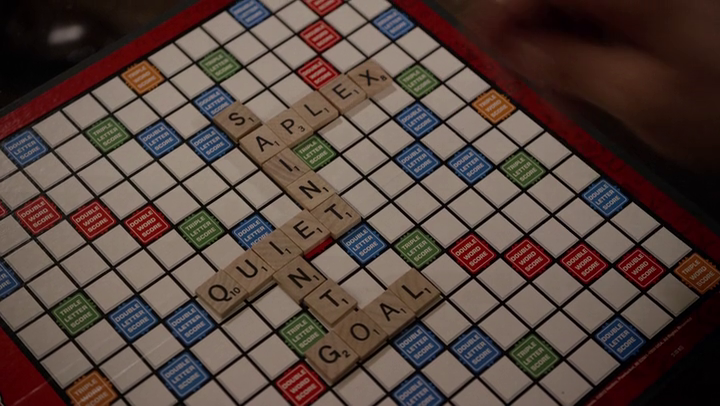 Season 6 ends with the two of them running off and zero resolution to the Boyd/Ava/Raylan arc. 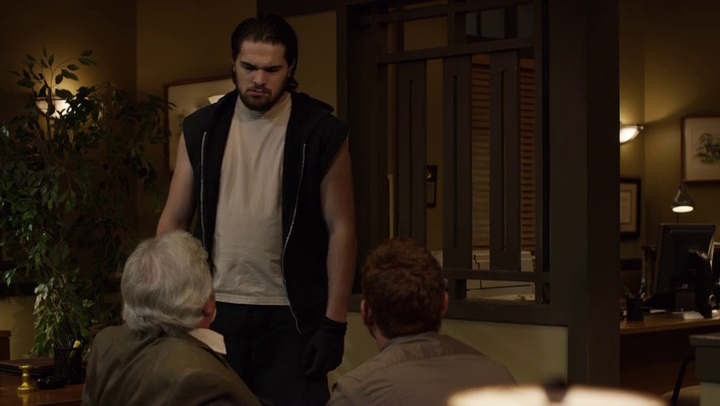 Patches: Who cares about Mags’ weed empire? Who will move into the real estate vacuum now that the “best damn realtor this side of the Mason-Dixon” is gone? Jeff: I don’t know, but I hope it involves Alec Baldwin. Jeff: Gremlin and an AK-47 or 4-door sedan and a taser? Patches: Upgrade that car, man! After all, you only live once. But for real, he better not have pawned his knife. Patches: What are the best and worst countries for Ava to be relocated too? Jeff: The best would probably be somewhere in Scandinavia. That way she’d fit in with all of the other beautiful, blonde, blue-eyed people. The worst? Maybe rural Scotland where she won’t understand anyone and nobody will understand her, though they’re all speaking English. Jeff: What is the best way the entertainment industry can take advantage of Wynn Duffy’s natural rapport with children? Patches: Inverted Three Men and a Baby. 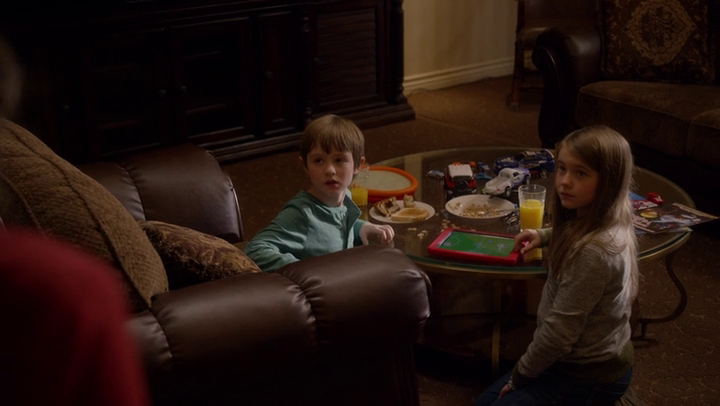 Wynn moves into a hotel in Spokane, only to find three children left at his doorstep the next day. Wynn decided to adopt them and hilarity ensues! Also, all three children are Irish, so they can go tanning together. Patches: What aplexes you most? 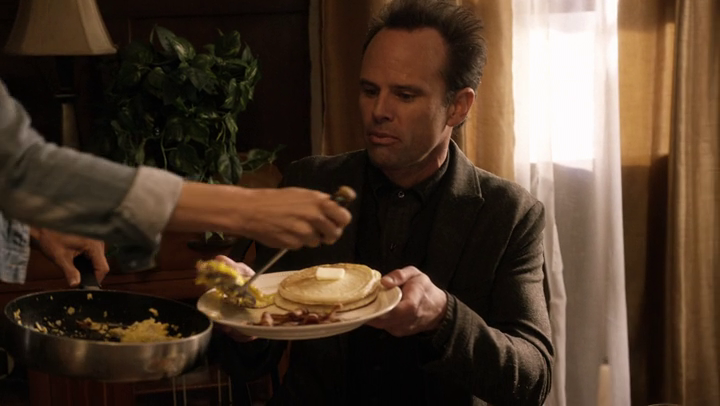 Jeff: The thought of life without new episodes of my “comfort food” shows, Justified and Parks and Recreation. 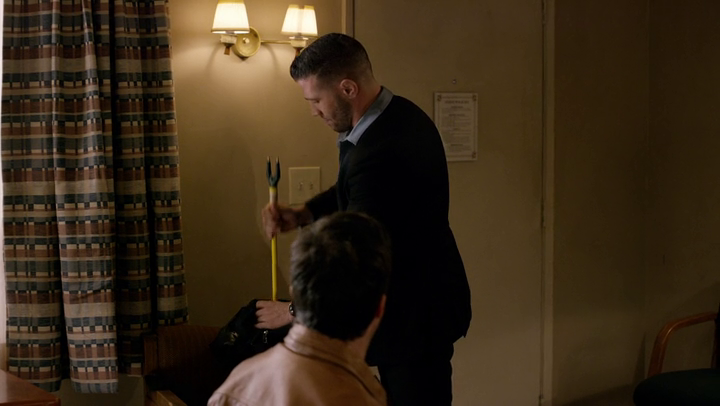 I’m not sure if Fekus’ torture in this episode or our torture from his plotline last season is greater. 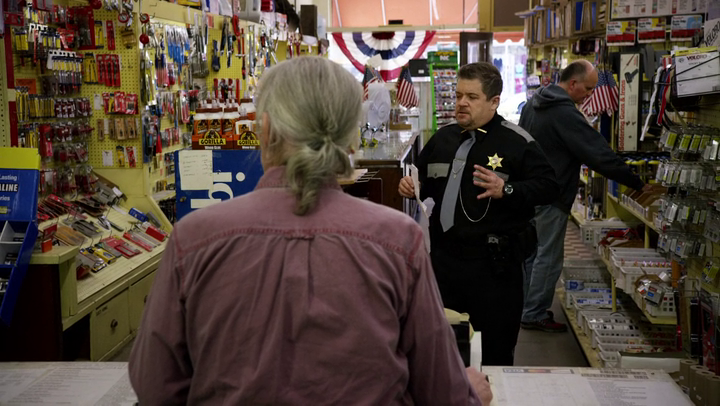 This entry was posted in Television and tagged Aplexed, Ava Crowder, Boyd Crowder, Choo-Choo, Constable Bob Sweeney, Feed Hanna, Justified, Limehouse, RayActions, Raylan Givens, Season 6, Sounding by Rites of Patches. Bookmark the permalink.